So I was totally supposed to be in Georgia right now, but due to a mis-read flight time and the storms in Chicago I had to forgo the trip. It was a bummer, but there was definitely a silver lining. 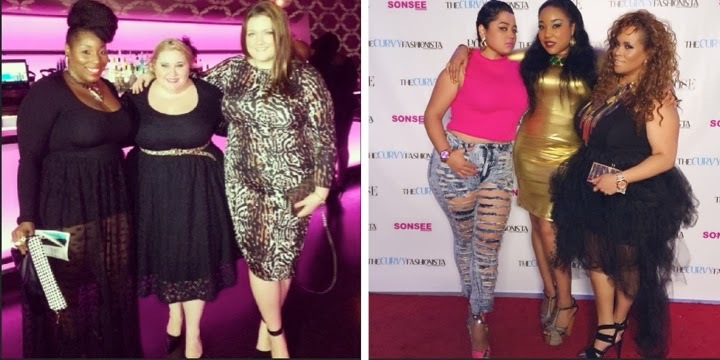 Once I got over not being able to go home, I swiftly called up Desiree from Fancy Dime to see if was down to ride to L.A. for an overnight trip to attend Sonsee presents The Curvy Fashionista turns 5 blog anniversary party. She was! It's always awesome to have someone to roll with. 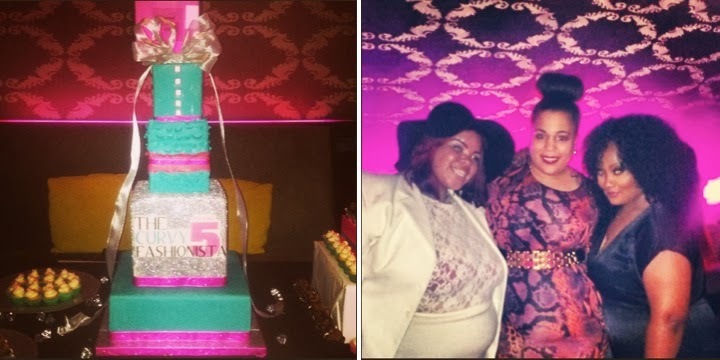 I got to attend The Curvy Fashionista's 5th anniversary blog party and boy was it a party. 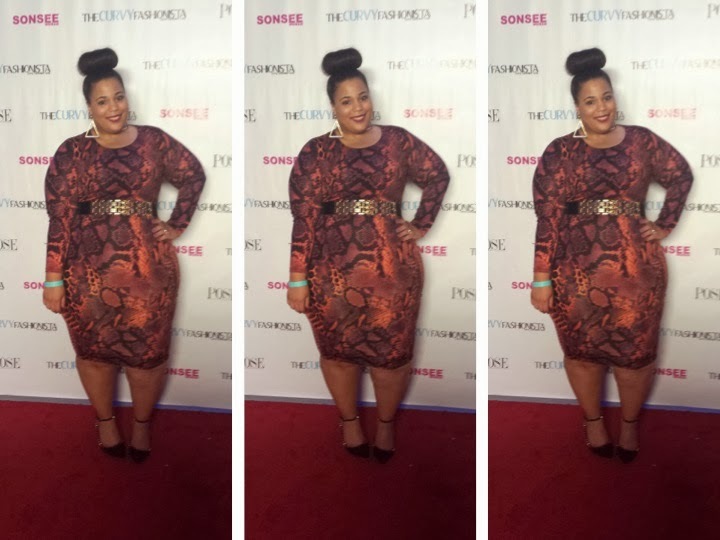 With fabulous sponsors Sonsee hosiery, two bumping DJs, and fabulous guests all in the very swanky Club Nokia in downtown L.A., it definitely was a party to remember. Only Marie could pull off such a seamless event. Fabulous guests included, Goo Goo Atkins (sister & stylist to the gospel recording artists Mary Mary), Chenese Lewis, Jay Miranda, the Addition Elle team, the Sonsee Team, Theary Sims, Marcy Guevara, Ashley Nell Tipton and so so many others. Believe or not, there were people at this party, that although we have been in the same arena for years, we had not met. Particularly, I got to meet Jay Miranda, who is not only adorable in every way imaginable (I promise she really is) she's is so super nice and inviting. I've admired her style for so many years. 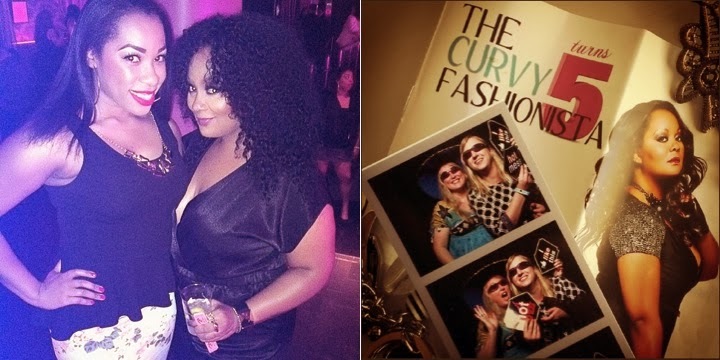 It's always heart warming to see so many people come together and support such an awesome person and esteemed person in the plus size community. If I haven't said it before, congratulations Marie!! Your years of continued excellence and accomplishments are to be admired and celebrated. I was so happy that you invited me to apart of this event for you and thank you for all your help this year! Style Note: So many of you asked about this dress, so I wanted to post and talk about it briefly. 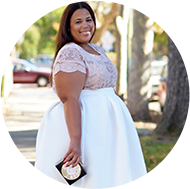 It's from SimplyBe. It's bodycon and really stretchy and long. It's more of a midi length. I got my dress in a size 24. I think it's pretty true to size but has a lot of stretch in the case that you can't find your size. You can find the dress here. It looks like a lot of the sizes are gone. 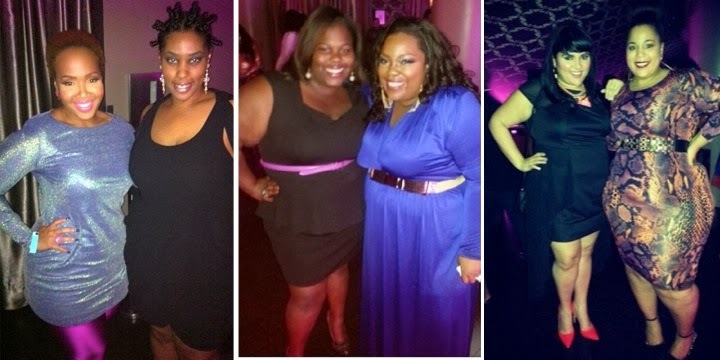 This dress was courtesy of SimplyBe and I actually had it a few months before I wore it. I also accidentally purchased this dress as well. Don't ask me how I did it. So, I have two. If anyone is interested in it, you can email me at chastity@garnerstyle.com. It's a size 24 too. It's brand new and still tagged. Update: The dress is no longer available. Sidenote: So I want to apologize for the photos. These were all done via camera phones and Instagram. I am not one to bring big bulky cameras to events. I'm only posting a few photos here, but if you want to see all the photos just put in the hastag #TCFturns5 in Instagram and you will get to view all the photos. You look fabulous! Glad it worked out for you--looks like you had a great time! Very proud of the progress you've mad Chas!